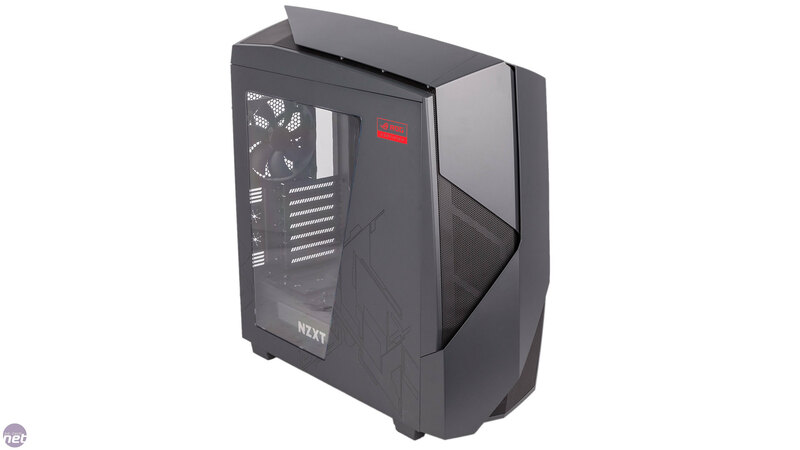 Revealed at CES, the Noctis 450 ROG is a partnership between NZXT and Asus that adds a bit of ROG flair to an existing NZXT chassis design. 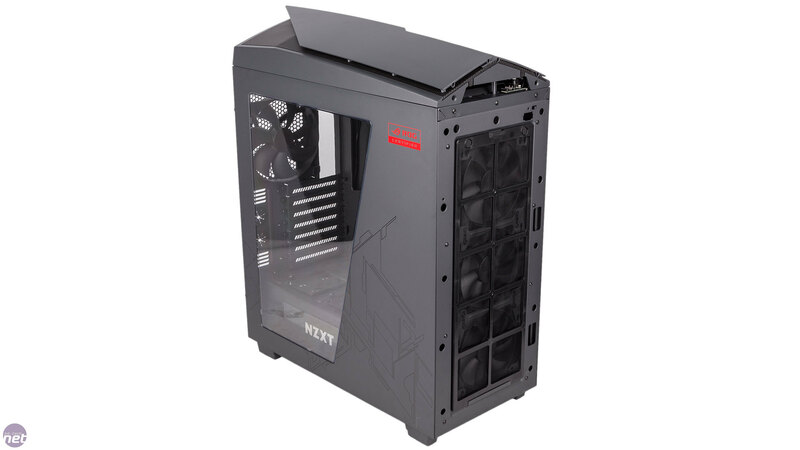 This isn't the first time we've seen a collaboration between NZXT and a gaming brand, with Razer also having gotten in on the action with a special edition of the H440. 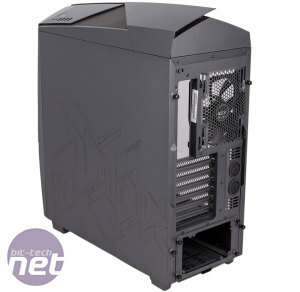 The appeal of cases like this are limited by their very nature, but if you were already planning a ROG build it might do enough to pique your interest. 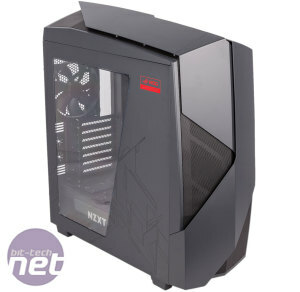 The Asus ROG pricing premium applies to cases just as much as any other product, it would seem, as this version of the Noctis 450 retails for a whopping £60 more than the £120 original. So, what's going on that might possibly make this worth an extra 50 percent investment? 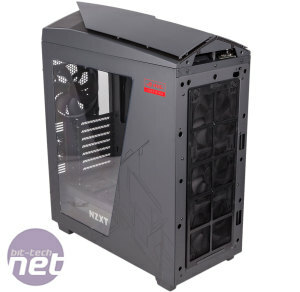 The core physical design of the Noctis 450 ROG doesn't appear to have changed, nor does the material quality. As such, this new edition appears to be based solely on new features and aesthetics. This is a shame, as although the plastic on the front and roof panels is solid, we'd rather see an all metal exterior on a £180 case. 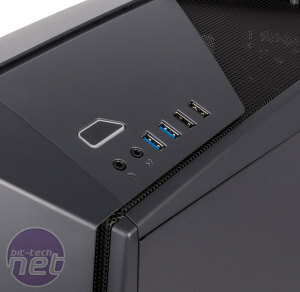 The top and front share a similar design, with angled, protruding solid sections overlapping with black mesh sections that give air a path in and out of the case. 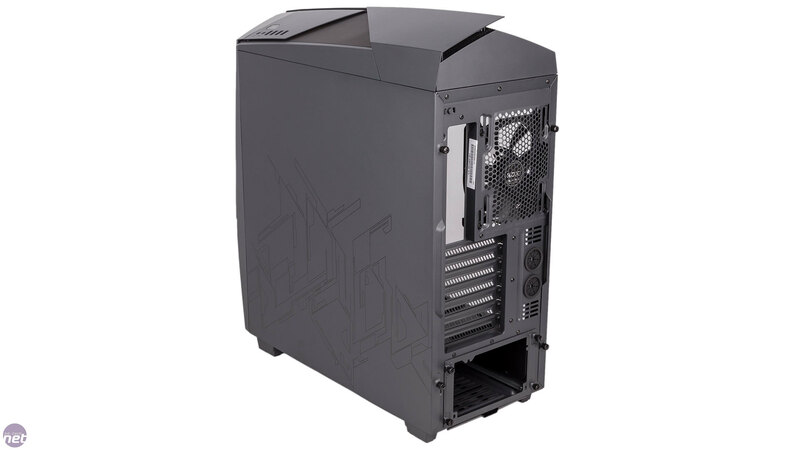 The side panels are steel, at least, and the whole case has been given a gunmetal grey coating for this ROG edition. This also sees a red ROG logo applied to the left side and a black stencil design on both sides: If you're part of the Repubic of Gamers, it's important everyone knows. The structural integrity of the left panel is lessened considerably by the large window, and pushing on it reveals a fair amount of flex. ROG certification provides no additional fans, although four out of the box is a lot as it is. These are arranged as a trio of 120mm front intakes and a single rear 140mm exhaust. 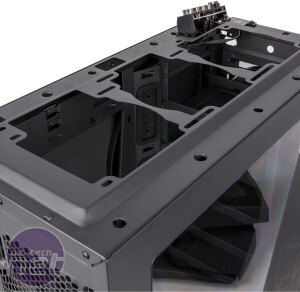 There's also room in the roof for another pair of 140mm fans or three 120mm models, although the positive pressure design means air is likely to be pushed out of the mesh in the roof without fans anyway. This somewhat lessens the impact of the case not having dust filters up here, especially as the mesh is quite tightly woven already. The roof hosts the I/O panel, where you'll find four USB 3.0 ports – a healthy amount, to be sure, but it's a shame that there hasn't been a USB 3.1 upgrade here. We also found the power button to be a bit wobbly; the action just isn't very satisfying. Removing the front panel is pretty easy and achieved via a tug from the bottom. This reveals a full-height dust filter guarding the intake fans. It also allows you to do the same to the roof panel, and one thing we like here is that this doesn't drag the I/O ports and associated cables with it. 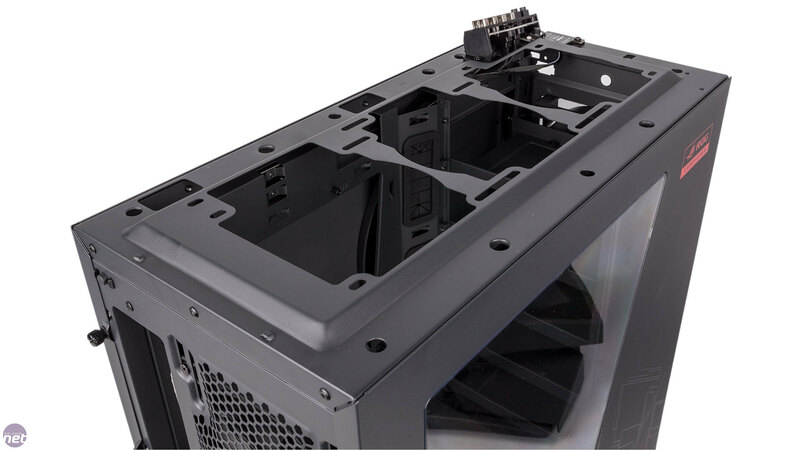 For all two people in the world still using external water-cooling setups, a pair of holes at the back allows tubes to pass through the case. Sadly, the grommets on these are useless, detaching as soon as you try to push anything through. 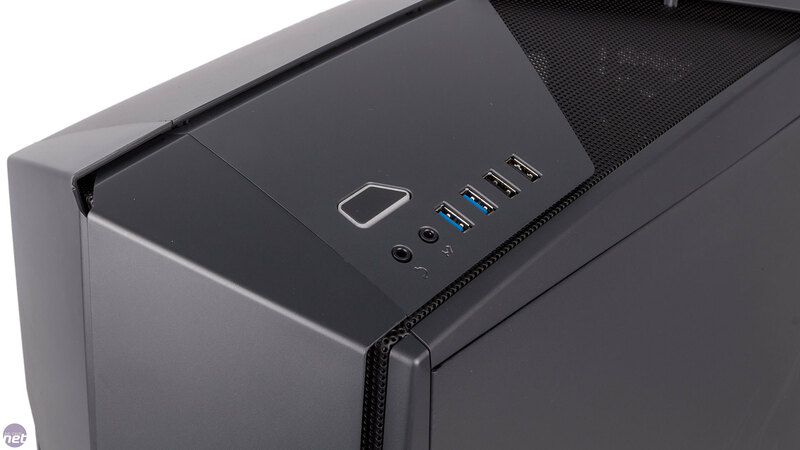 A far more useful feature around back is the pair of white LEDs above the I/O ports (one above the motherboard ports, one above the expansion slots) that can be activated with a simple button. 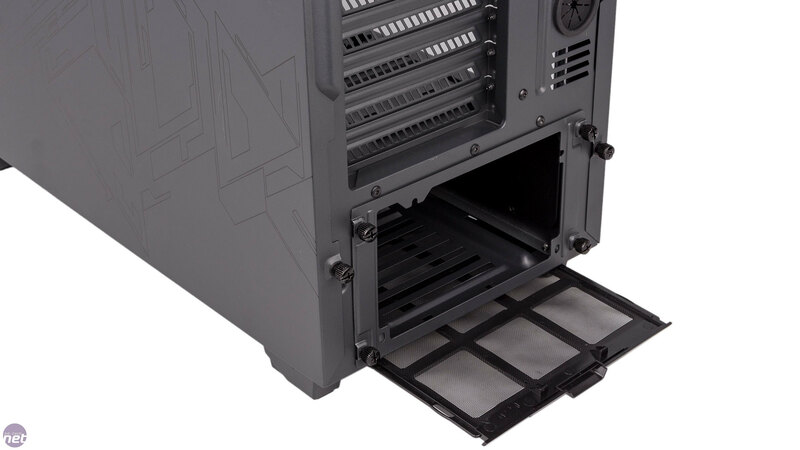 The chassis stands on rubber feet, and has enough clearance to give the PSU a decent amount of breathing room. 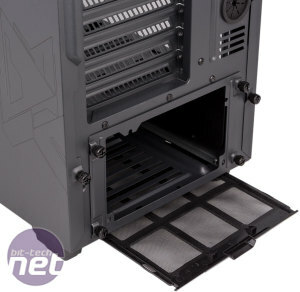 This component is also guarded by its own dust filter, which slides out to the rear. A pair of lighting strips complete the underside – these were included in the original design, but the ROG upgrade means they've been switched to RGB lights that are controllable through the Asus Aura software. Recommends parts, builds it for you.